Identity theft is a growing problem, affecting millions of Americans each year. 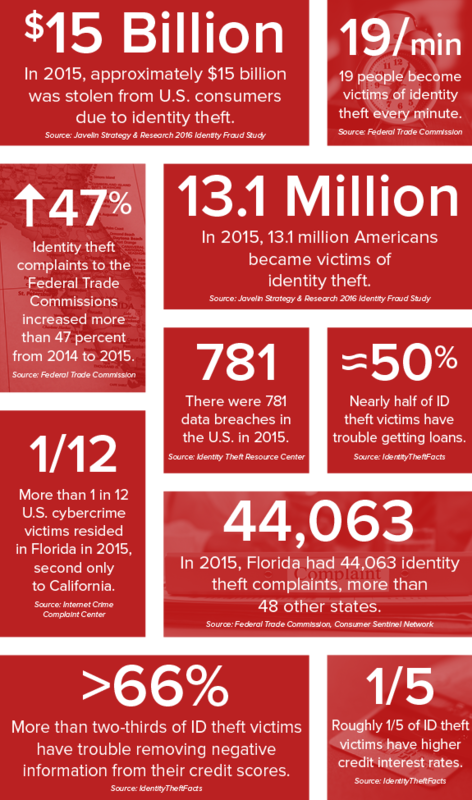 Floridians are more likely than residents of 48 other states to become victims of identity theft. Protect yourself and your family from the crippling effects of identity theft. Crime Prevention Security Systems partners with IDShield to give our customers ultimate peace of mind, starting at just $9.95 per month.